How to view an exhibition from a seat on the carriage of a miniature train? The New Media Express is a five-inch gauge model of a full-size train, complete with graffiti added by artists unknown. 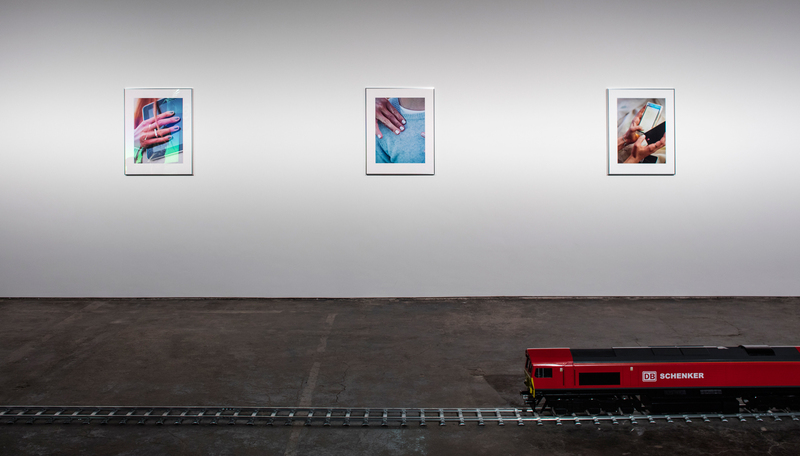 The train tracks run parallel to a series of artworks mounted on the wall. 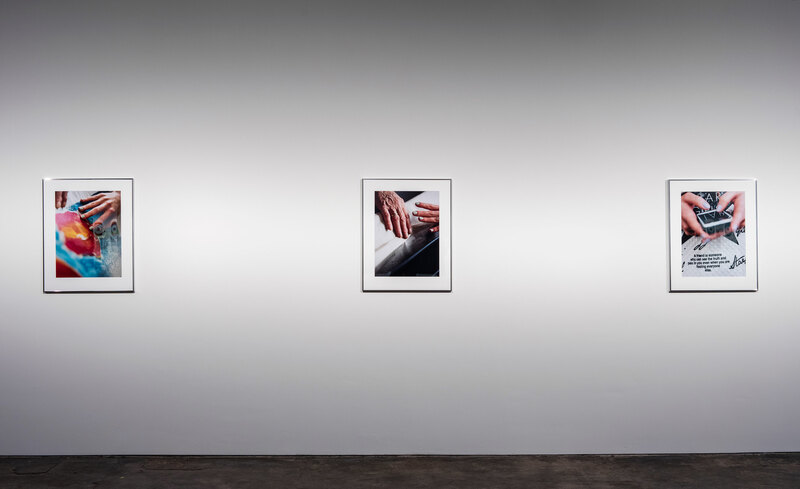 Since 2014 Josephine Pryde has been macro-photographing hands—hands in contact with the chest to which they belong, with touch sensitive lamps, with tablets, with telephones, with gifts from her art dealers, with driftwood. She is interested in magnifying the point of contact between the hand and these various sorts of transmitters. How do the hand and device fuse? How to locate this new fusion?